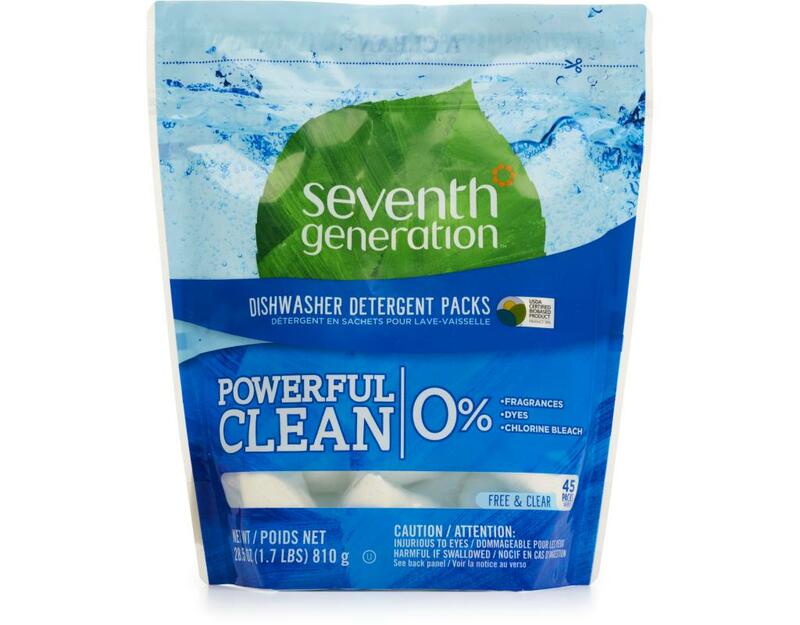 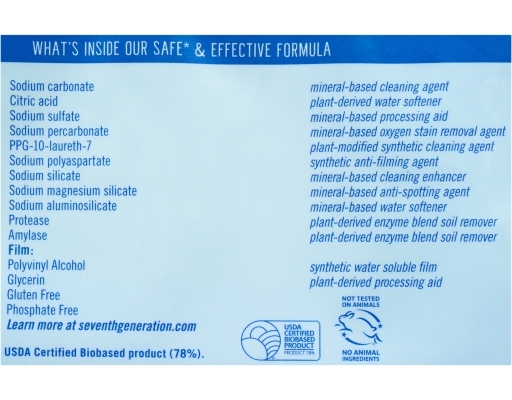 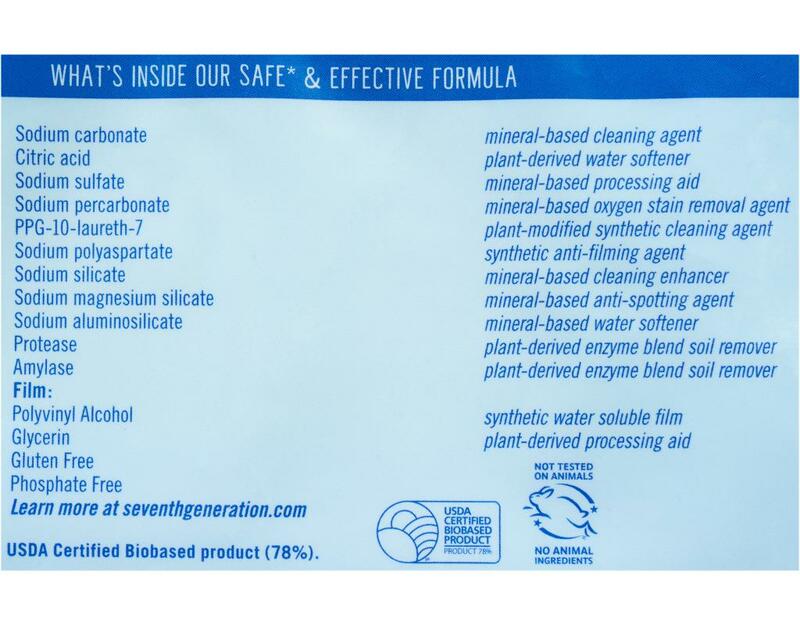 Seventh Generation easy-to-use dishwasher packs give you the perfect amount of grease-fighting dishwasher detergent for a total clean the first time, leaving no iffy scents behind. Dishwashing doesn't get much easier than this, dishwasher detergent packs make life easy! 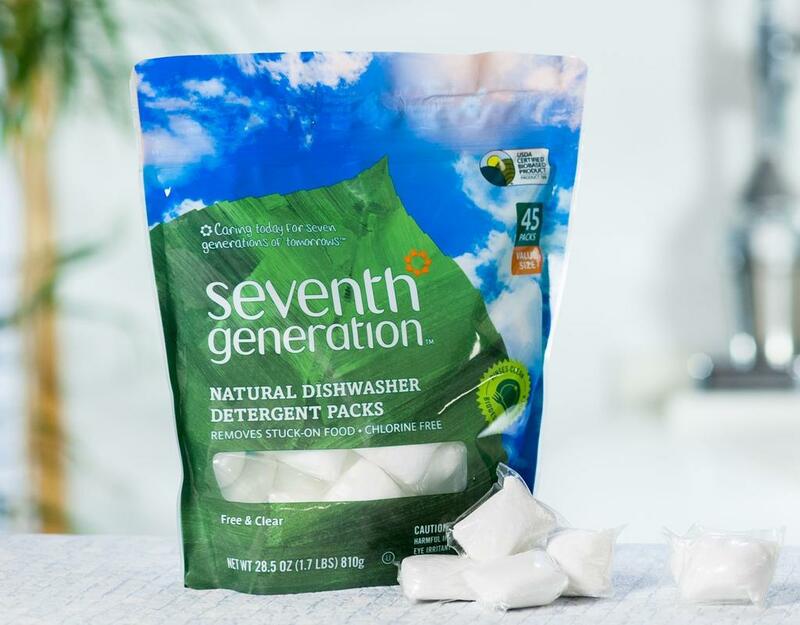 No need to measure dishwashing detergent – just place one, single-use dishwasher detergent pack into your dishwasher to remove dinner's grease and grime without the use of phosphates, chlorine or synthetic fragrances. 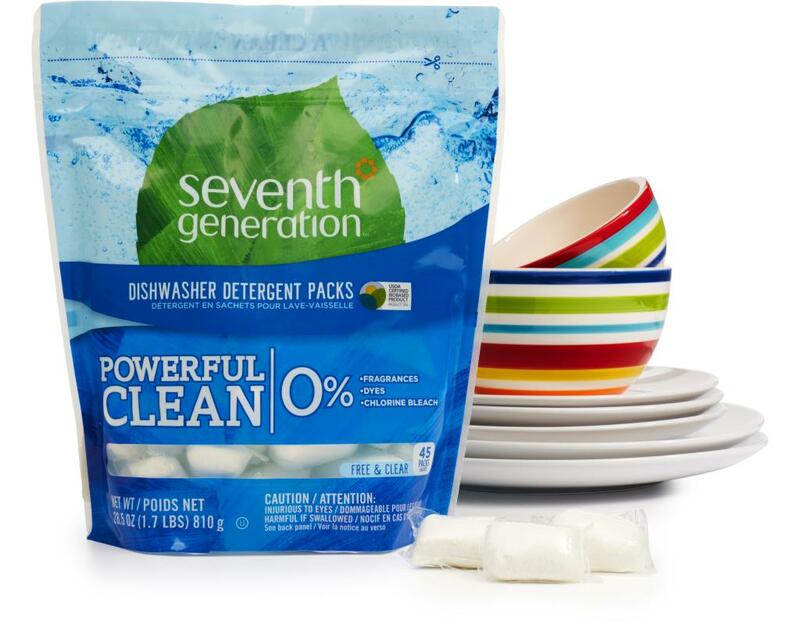 It's a convenient, no mess alternative to traditional dishwashing detergent powders and dishwasher gels. Give these biodegradable dish packs a try! 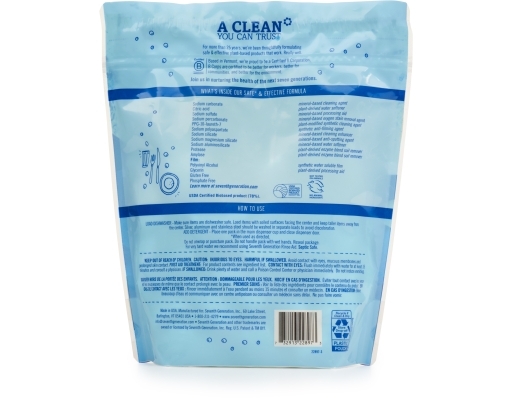 Sodium Carbonate (Mineral-Based Cleaning Agent), Citric Acid (Plant-Derived Chelating Agent), Sodium Sulfate (Mineral-Based Processing Aid), Sodium Percarbonate (Mineral-Based Oxygen Bleach Agent), Ppg-10-Laureth-7 (Plant-Modified Synthetic Cleaning Agent), Sodium Polyaspartate (Plant-Based Anti-Filming Agent), Sodium Silicate (Mineral-Based Alkalinity Builder), Sodium Magnesium Silicate (Mineral-Based Anti-Spotting Agent), Sodium Aluminosilicate (Mineral-Based Water Softener), Protease And Amylase (Plant-Derived Enzyme Soil Removers).